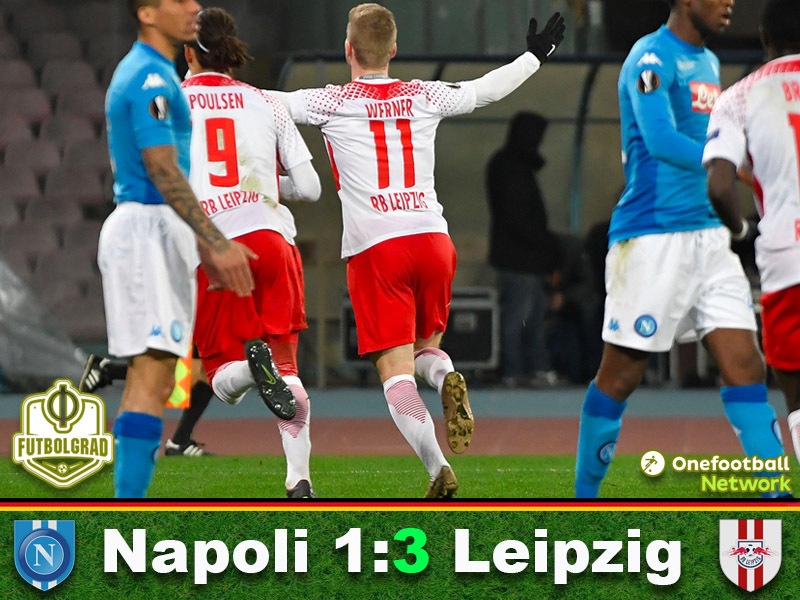 Napoli vs Leipzig ends with die Roten Bullen taking a commanding lead back to the second leg, which will take place at the Red Bull Arena next week. Leipzig come from behind to win. Timo Werner scores twice to win the player of the game award. Emil Forsberg returns for Leipzig. 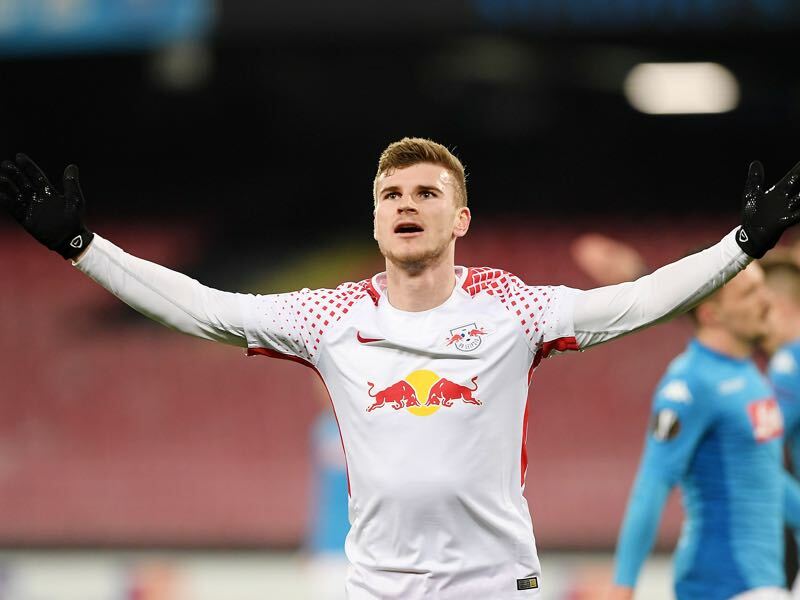 Leipzig started their first Europa League game in history on the front foot right away applying pressure on Napoli and Timo Werner had two chances in the first two minutes to bring die Roten Bullen in front. It was a good start to a game that saw both sides play refreshing attacking football that created plenty of chances in the opening half of the first interval with Piotr Zielinski having a chance to get Napoli ahead in the 13th minute after a Dayot Upamecano mistake and Jose Callejon testing Peter Gulacsi with a thunderous shot after escaping the German’s defence in the 20th minute. Leipzig also had chances with Bruma almost scoring on the other end after a Marcel Sabitzer cross in the 14th minute and Yussuf Poulsen missing the net after a breakaway in the 19th minute. It was a finely balanced game in the first half with both sides not being afraid of playing end-to-end football. Leipzig, in particular, looked for the away goal, but although industrious die Roten Bullen struggled to find a way through a well organized Napoli defence. Hence, an intriguing yet not spectacular first half ended in a 0-0 draw with both teams playing cultured football with Leipzig being the more consistently dangerous side going forward in the first interval. Leipzig continued for that away goal and Marcel Sabitzer placed a shot wide after a great cross from fellow Austrian Konrad Laimer in the 50th minute and one minute later Timo Werner received the ball inside the box, but the German national team player skied the shot from inside the box letting Napoli off the hook. As it is often the case in football if you do not take your chances the opposition will score and in the 52nd Napoli took the lead through Adam Ounas. The 21-year-old Algerian national team player found himself with plenty of space inside Leipzig’s box after Napoli had hit die Roten Bullen on a counter and made no mistake beating Gulacsi with a brilliant low drive. In the 56th Poulsen should have equalised, but the Danish striker failed to get Leipzig’s 12th attempt of the game past keeper Pepe Reina despite being left wide open in the six-yard box. Naby Keïta, a deflected shot from the distance in the 57th, and Timo Werner, a close-range header in the 58th minute, had further chances to level the score. At that rate, it was only a question of time for Leipzig to score the equaliser and in the 62nd minute, Kevin Kampl played a great low ball in the box with Poulsen playing the dummy to create the room for Werner to score from close range. Leipzig wanted more and countless times sliced Napoli’s defence open. At that point, it became somewhat obvious that many of the Italian players were focused on the Serie A rather than the Europa League, whereas Leipzig took this game very serious. As a result, it was no surprise when Leipzig did finally take the lead in the 73rd minute. Poulsen tightly hugged the defensive line escaping Napoli’s backline going one-on-one with Reina playing the ball at the last minute over to Bruma, who simply had to tap the ball over the line. Leipzig deserved the result at this stage and with just moments to go added another goal after Emil Forsberg, who had come on in the second half to make his comeback after a long injury break, stole the ball on his own box quickly breaking forward with Werner on his right and the Swede quickly played the ball into Werner’s run, who in turn made no mistake to score his second goal of the night. Timo Werner is at it again. The 21-year-old German national team player showed once again why he is by everyone, with the exception of Sandro Wagner, deemed the best forward in Germany at the moment. Werner made no mistake scoring the equaliser from close range and then a stunning second goal with just moments to go. Always dangerous going forward Werner made the most of a Napoli defence that seemed a far cry removed from the Italian catenaccio of old. All the focus in Napoli is about the Gli Azzurri winning their first scudetto since 1990. As a result, the Europa League only plays second fiddle to the Serie A at the moment, which meant that the attendance for this game was poor. Head coach Maurizio Sarri also heavily rotated their squad and as a result, played into Leipzig’s hands as Leipzig take a great result back home to Germany. This was RB Leipzig’s first game in the UEFA Europa League and their first ever encounter against a team from Italy. 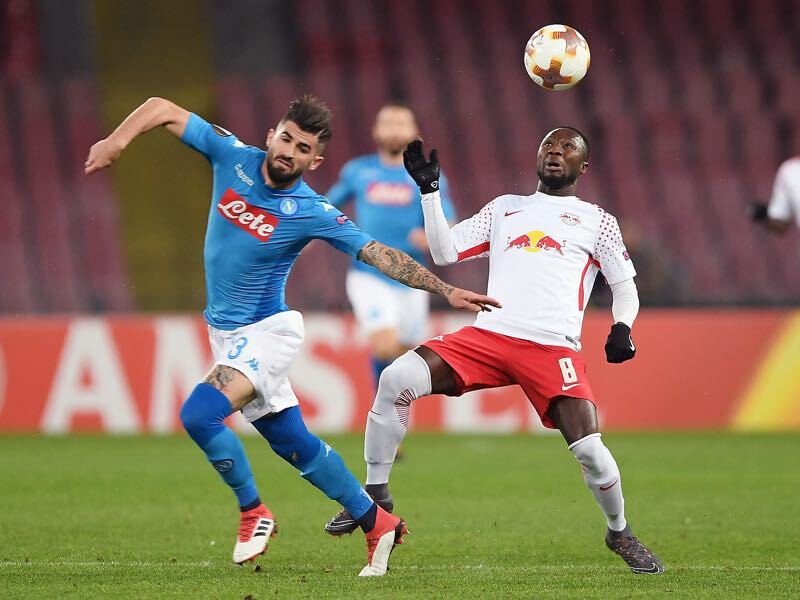 While Napoli scored in their 12th consecutive European game (club record), RB Leipzig conceded in their seventh consecutive European match. Timo Werner has now scored all five of his European goals on the road.